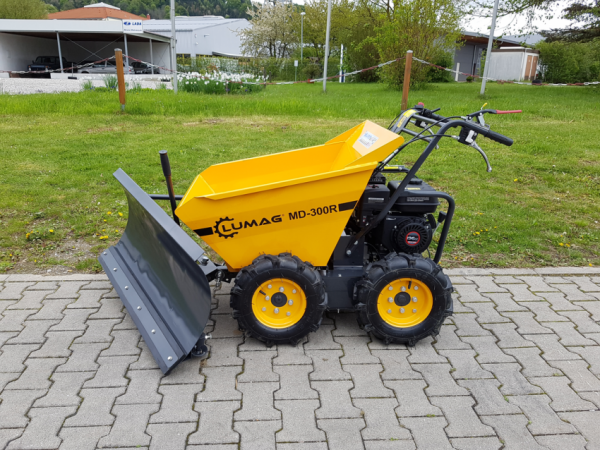 The Lumag MD300R is a handy and powerful power barrow. With 4wd and skid steering you can go nearly anywhere. Manual with 3 forward and one reverse gear. The chain driven 4 wheel drive offers considerable advantage over friction driven designs used on similar machines. 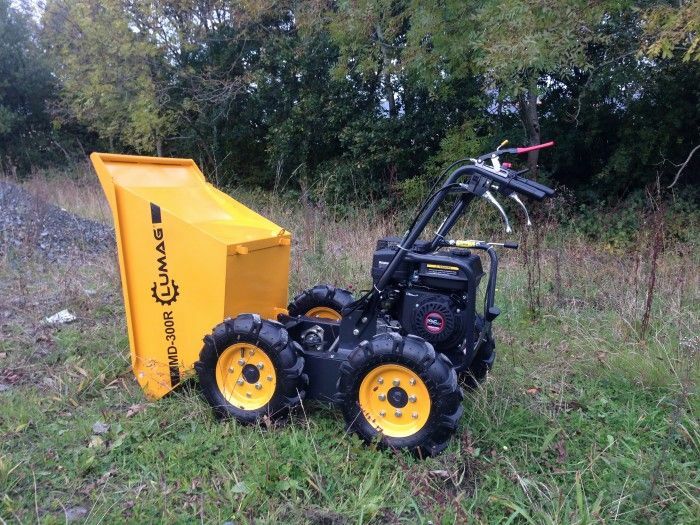 The skid steer system allows you to spin nearly on the spot with no need for lifting or dragging. The strong steel skip has a large 300kg capacity great for all sorts of different tasks.